To save her child, she will trust a stranger. To protect a secret, she must risk her life . . . I first became aware of The Familiars when it was acquired after a nine-way auction and applied for an advance copy as soon as I could. 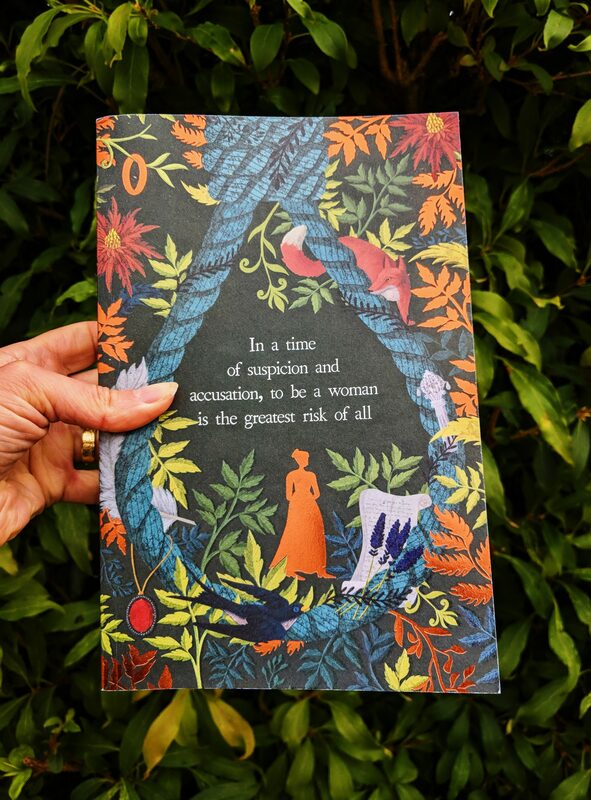 Being partial to a bit of sorcery, I was instantly drawn to this historical re-imagining of the Pendle witch trials told from the perspective of pregnant 17-year-old noblewoman, Fleetwood Shuttleworth. From the outset, I could understand why so many publishers battled for this story. The writing is incredibly fluid, pitch perfect with just the the right amount of lyricism. We see Fleetwood’s world so clearly – her decadent lifestyle juxtaposed against the real fear that a third miscarriage could lead to her death. With such high stakes, it’s inevitable that she becomes desperate for help even if it arrives in the form of Alice Gray, a mysterious and impoverished woman who has ties to the hated Pendle witches. The growing bond between the two women forms the backbone of the story while events twist and turn around them. The pace is handled nicely – enough plot to move the action along but also richly descriptive. I felt for the characters, particularly Fleetwood who never gives up although she is at the mercy of her husband and her own body throughout the novel. Although Alice isn’t as clearly drawn, there are reasons for her enigmatic nature which become evident later on. These are women whose lives are restricted by society and they must tread carefully if they are to survive. Unusually for me, I flew through the book which says a lot about the writing. I was compelled to find out what would happen and although the ending seemed a little rushed, it was also satisfying on a number of levels. I was left with a sense of wanting more – always a good sign. One thing I would mention though is that despite the title, don’t expect a paranormal novel. There is a suggestion of witchcraft, but the references are incredibly subtle. The role of the familiars is a minor one and never quite explained so if you’re hoping for overt magic you won’t find it here. However, if you’re looking for an atmospheric historical read with touches of weird then this is perfect for dark evenings and windswept days. The Familiars is due to be published 19 February 2019. You can pre-order here. Sounds amazing! I love the cover! This will sell on the cover alone! The story was very assured for a debut.